The Amelia Roses, are the kind of flowers that best complement any special occasions. This variety, is a soft, delicate, elegant and sophisticated blossom with a marvelous star shaped bloom, which recreated any room. 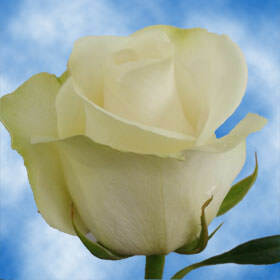 The Ivory White Roses, symbolize purity, grace, respect and commitment, are therefore preferred for baptisms and weddings. At the same time, by their symbol of respect and purity are the ideal florets to show your sympathy when it comes a difficult time for any of your friends, family or loved ones. 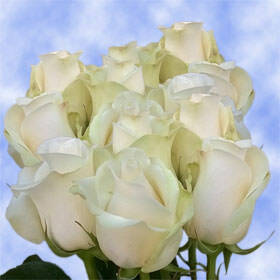 Buy florets from Globalrose for sale online! Free Delivery included!